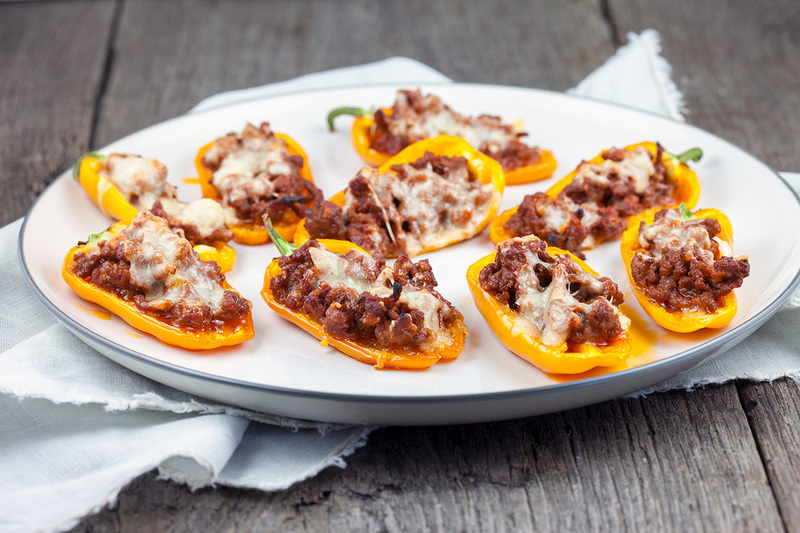 An easy and quick snack is always great when you're having friends over. 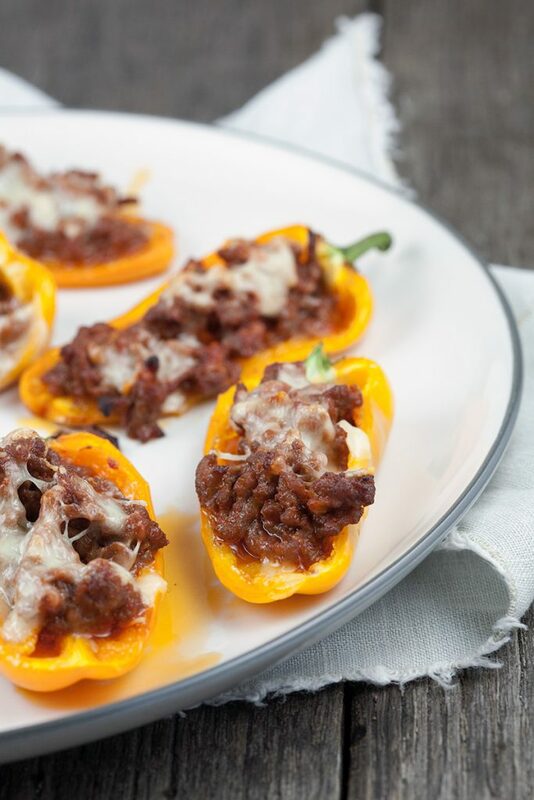 These stuffed snack peppers are ready within 20 minutes. PRE-HEAT the oven to 175 degrees Celsius or 350 degrees Fahrenheit. PEEL and finely chop the garlic cloves. DIVIDE the peppers into halves and remove the seeds, but keep the stalk. HEAT a bit of olive oil in a medium-sized skillet and sauté the garlic shortly. 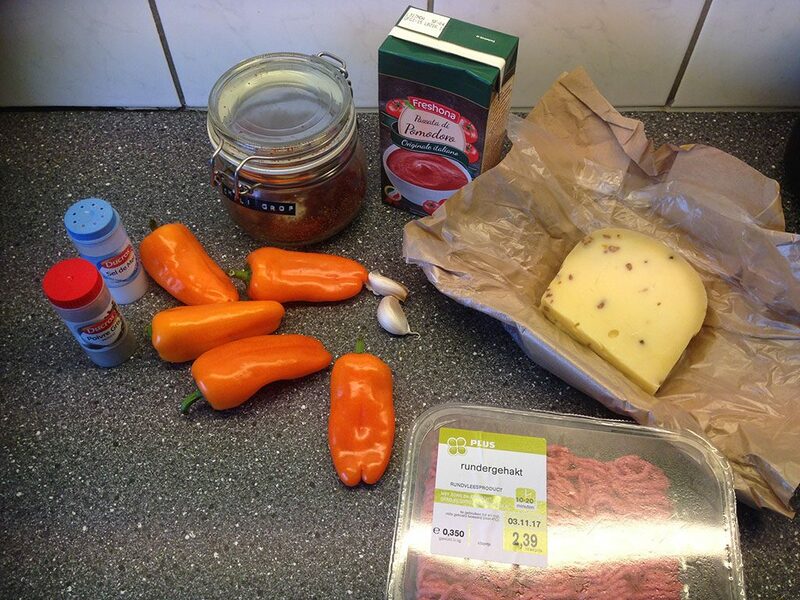 ADD the ground beef and after a few minutes also add the ground chili and passata. Let it cook for a few minutes and SEASON with pepper and salt. 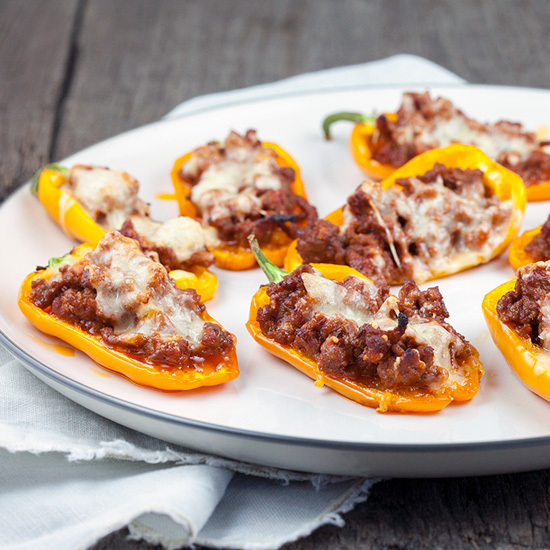 DIVIDE the mixture over the snack peppers and place them on an oven tray lined with parchment paper. FINISH with a bit of grated cheese and bake in the oven for about 10 minutes, or until the cheese has beautifully melted. Enjoy!